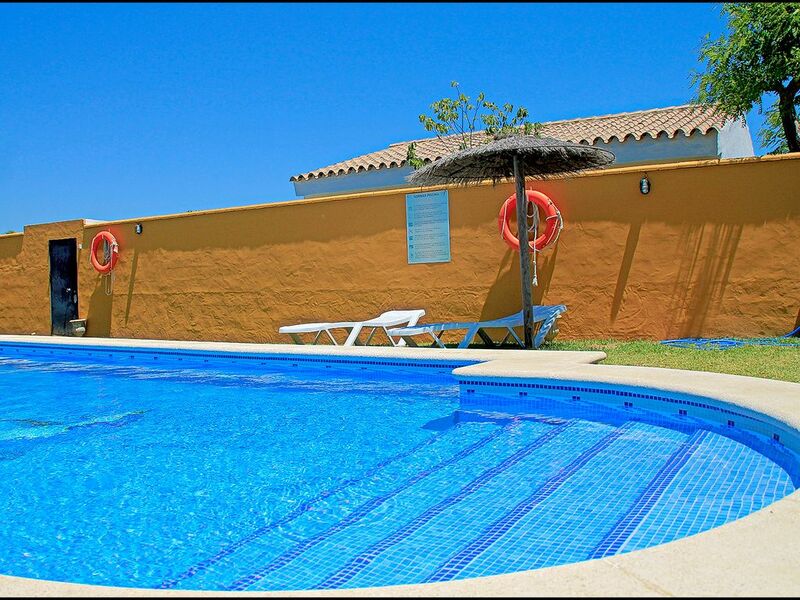 Bungalow with capacity for up to four people, two minutes by car from Conil de la Frontera, with its large variety of services and restaurants. One of three bungalows which form part of a small touristic complex with shared facilities like the large pool with parasols, sun loungers and gardens, parking, and a small football pitch. The property consists of two bedrooms, one bathroom and a lounge-diner with American kitchen. There is also a covered porch, barbecue and a private garden with artificial lawn. Parties are not permitted in this property. From this location you can easily reach various beaches by car, such as: Cala del Aceite in eight minutes, Cala de Puntalejo in five minutes, Roque y Fontanilla in four minutes . An area of great tranquility, ideal for holidays with family or friends, in a great location next to camping la Rosaleda. Estaba limpio, bien ubicado y muy tranquilo. No disponía de toallas, ni papel higiénico. El sitio es tranquilo, bien ubicado, la piscina y el recinto esta super limpio. No admiten tarjeta, no hay toallas de ducha.